Our chefs have created this fusion of delicious flavours. 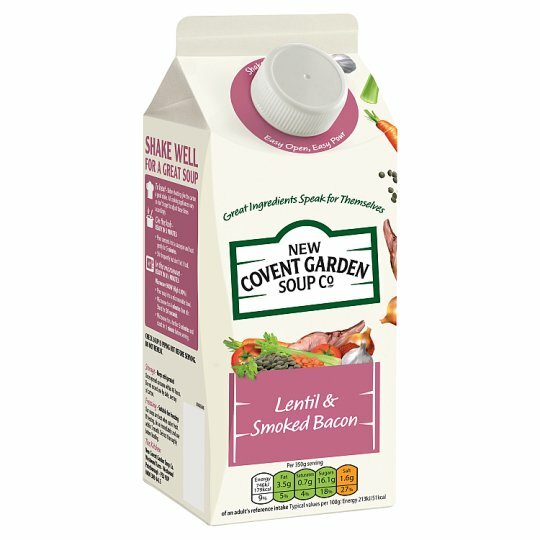 Our classic lentil and smoked bacon soup is packed fill of plump red and green lentils which absorb the great tasting flavours of smoked bacon, vegetables, garlic, thyme and ground bay leaf delivering this hearty, chunky, great tasting soup. Keep refrigerated, Once opened consume within 48 hours. Suitable for freezing, Our soups are best when eaten fresh. If freezing, do so immediately and use within 1 month. Defrost thoroughly before eating., Do not exceed use by date, see top of carton.